Clickbank is a very popular affiliate network that many affiliate marketers use on a daily bases. Finding the best Clickbank affiliate program is easy when you know how to search through the Clickbank marketplace. Often one of the problems that new affiliate marketers have is getting excepted into affiliate networks. This is usually because they may have a new website with very little traffic or no valid proof in marketing . The sign up process is quick and easy and you will be able to start promoting in a matter of minutes. Clickbank offers 1000’s of products in 24 categories ranging from Arts and entertainment to travel and sports. The Clickbank marketplace offers mostly e books and delivers the digital product with a click of a button. Clickbank is a great place to start for new marketers. If you don’t already have an account you can sign up here . Find the Best Clickbank Affiliate Program in your Niche . After you have signed up and enter the member’s dashboard you will see tabs across the top of the screen, Click on the marketplace tab and you will be brought to the basic search function which is a starting point but if you want to narrow your search down you can do it in a number of different ways . Enter Keywords – Enter one or more keywords for your search. Exclude Words From Search – You can enter one or more keywords to exclude those keywords. In This Category – You can only display accounts in that category. Results Per Page – Select a number of results to display per page. There are a ton of different search factors you can use but when it comes down to it we want sales Right? So we will focus on Gravity below is Clickbanks definition of how they generate the data that determines the assigned number they give the product. The gravity performance statistic is an approximate, relative measure of how many affiliates have successfully promoted products from an account, with a higher number meaning more conversions. Firstly I picked my category from the side menu in the self-help niche, the results for all the products I can promote pops up. Now want to set the gravity filter. I set the value to 50 because I want to see only the products with a gravity of 50 or higher . Then I toggle the sort results from popularity to Gravity and click the High to Low button. This further sorts the results and gives me the best click bank affiliate programs for the self-help niche . You can see that the first product has a Gravity of 110.36 and the second has a gravity of 65.95. These numbers are good and shows that the product will sell . I personally would choose to promote either one of these e books. So You have found the best Clickbank affiliate program what is next ? I like to check out the product page and see if the offer actually looks good and offers real value. If it I like the look of the sales page and the product, I will check out the affiliate page to see what tools they have. Many of the products that are listed on Clickbank have affiliate pages the links are found in the product listing . When you visit the page you may find promotional tools like email swipes, free e books, banners and images. Put these on your website or blog to promote the product. You can usually sign up for product updates and be notified if the vendor is offering a discount or special promotion. The other option is create a Hoplink. A hoplink is a link generated by clickbank to ensure that you as an affiliate are rewarded for generating the sale. All your traffic is tracked when a visitor clicks on your link. Get your link by clicking the ” Promote” button that will take you to a window where you can enter a tracking code if you want. It is recommended that you copy and paste the link into your document or web page instead of typing it manually. If you mistype or add a space the link will not work and you will probably either lose the customer and will not be rewarded for that traffic. How to promote your offer to possible buyers? There are many ways to market your products. You can buy PPC advertising at places like Clixsense or Adroll but often the results are less than desirable. Facebook ads are also an option. In my opinion Facebook is losing its popularity because of what has been going on over there lately. Email is still a strong way to get in front of your audience. You can choose to either build a mailing list or buy solo ads . Solo ads is basically using someone their email list to promote your offer to, you find a vendor and pay a fee. They will then send your ad out to their contacts. Generally the best way to promote with solo ads is to offer a free report or e-book and direct them to your landing page. They then sign up for your give away and you capture the subscribers email address. You can then send out your promotions directly to their inbox. If you are going to use Social media then I recommend using Pinterest because it is the second largest search engine online today. Check out my post affiliate marketing using Pinterest to help you get started. 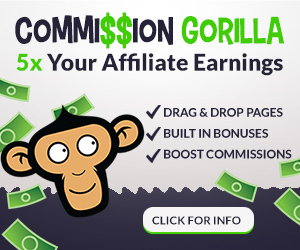 You can also use your personal website or blog to promote your affiliate offers. By providing good content on your blog you can generate traffic to get your promotions in front of your audience. If you don’t have a website or blog starting one is a fairly simple process. Many people are intimidated by the thought of starting a blog but there is no need to worry. In fact you can can start your site in minutes from now using wordpress. Simply add a name for your blog and your off and running for free.